I really don’t want to jinx it, but I’m pretty sure Spring is almost here! Its been raining every day this week and the temperatures are slowly rising. Rain means spring flowers, and I’m so excited I can’t even wait! Spring in New Jersey is absolutely gorgeous, I can’t even put into words how gorgeous it is because its far more beautiful in person. Imagine tree upon tree of pink and white blossoms. Fallen cherry blossom petals all over the roads, so many that most of the time you can’t even see the grass, and when you drive they fly up in the air and twirl in the sunlight. It is absolutely magical. So, as I sit here on this rainy day my thoughts are on all things spring. So, I put together a collage of my spring favorites I’m sure you will love. 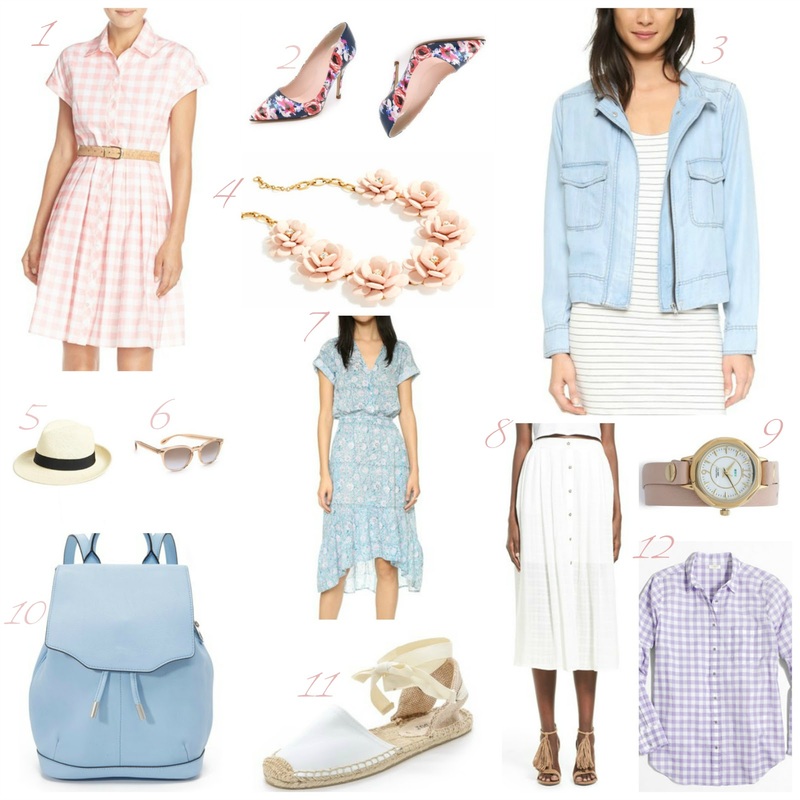 I obviously craving gingham dresses and button down gingham tops, florals, and of course pastel colors galore! Hope you enjoy it! All great picks, but I think I need a pair of floral heels in my life. These beautiful pastels have me so excited for warmer temperatures! Such a great selection. I ordered that BB Dakota Chambray Jacket (#3!) and it's supposed to arrive today! It's so cute, fingers crossed it's as cute in person! Like all of these. My favourites are the floral print shoes.